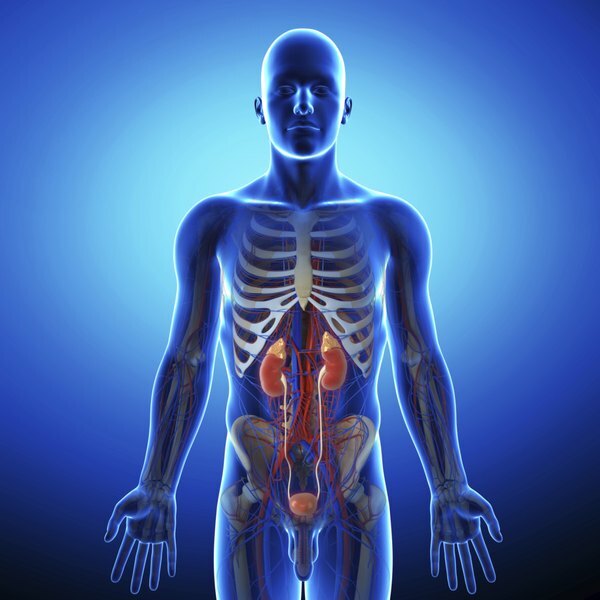 Your kidneys filter through your blood and remove any waste products as well as excess acids and bases through the urine. The pH of your urine is an indicator of the mix between acidic and basic or alkaline chemicals; the higher the pH, the more alkaline your urine is. Raising the pH of your urine can help improve your health and may also make it easier for you to treat infections of the urinary tract. Take magnesium and calcium citrate supplements. Many people take magnesium and calcium supplements, and the citrate forms of these supplements can help alkalize the urine, the Urology Channel notes. Follow the instructions on the packaging to know how much to take, as the dose may vary in tablets from different companies. Consume sodium bicarbonate. Sodium bicarbonate, also known as baking soda, can also increase the pH of your urine. To alkalize your urine, Drugs.com explains that you should consume between 325 mg and 2,000 mg of sodium bicarbonate one to three times per day. If you use powdered sodium bicarbonate, dissolve it in at least 4 oz. of water, MedlinePlus notes, and then drink the resulting solution. Measure your urine pH. The simplest way of doing this is to use strips of pH paper, which has been treated with chemicals that will change color depending on the pH of a solution. Collect a urine sample and dip the pH paper and use the key that comes with the paper to determine your urine pH. Alkalized urine should have a pH between 7.5 and 8, FPNotebook states.